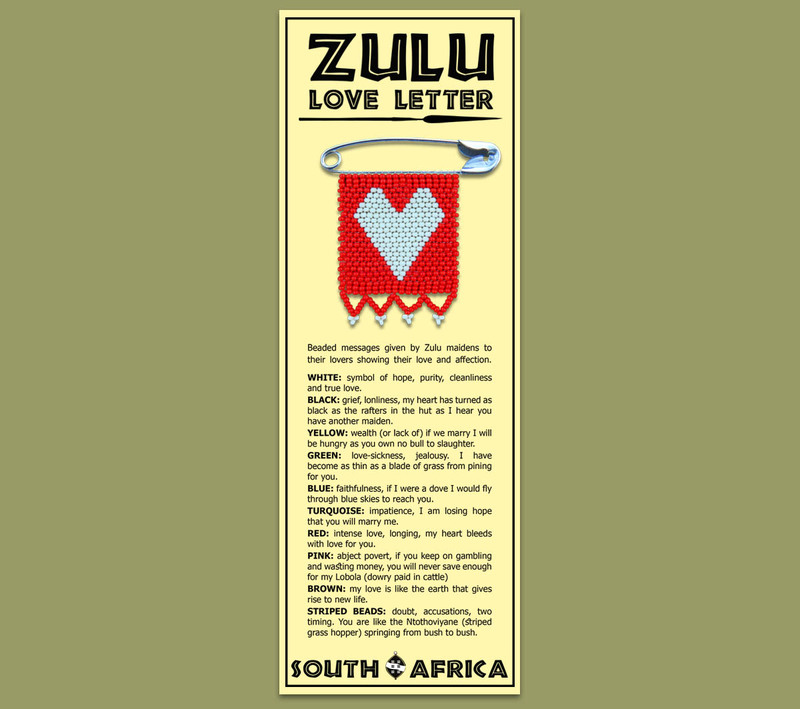 African Bookmarks Zulu Love Heart WITH THE MEANING OF EACH COLOUR. (NB! THE IMAGE SHOWN IS A PRINTED LOVE LETTER). Laminated. Any company logo's and images can be added and all wording can be changed for corporate / personal requirements.